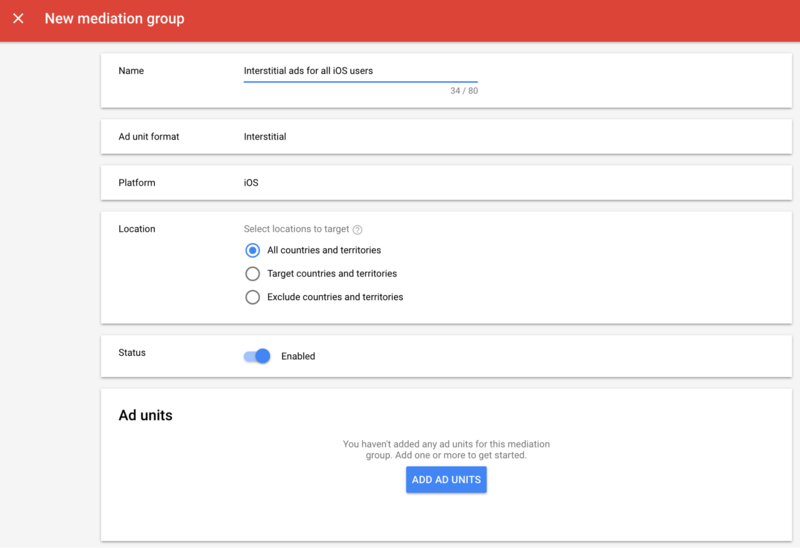 This guide is for publishers who want to use the Google Mobile Ads SDK to load and display ads from nend via mediation. 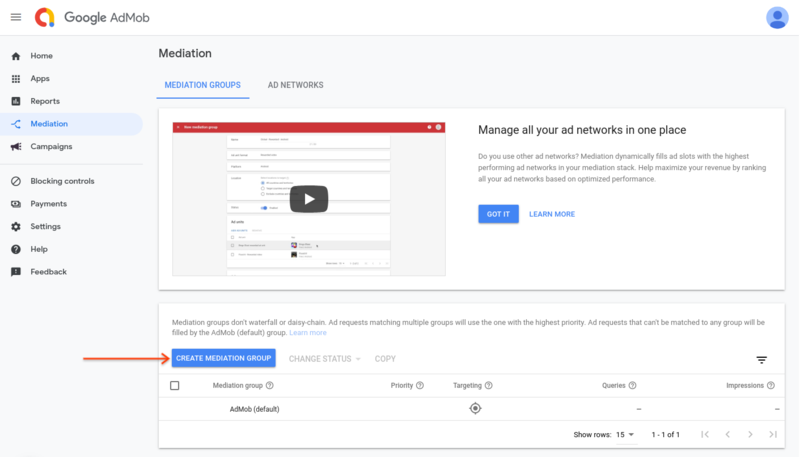 It explains how to add nend to an ad unit's mediation configuration, how to set up ad network optimization, and how to integrate the nend SDK and adapter into an iOS app. 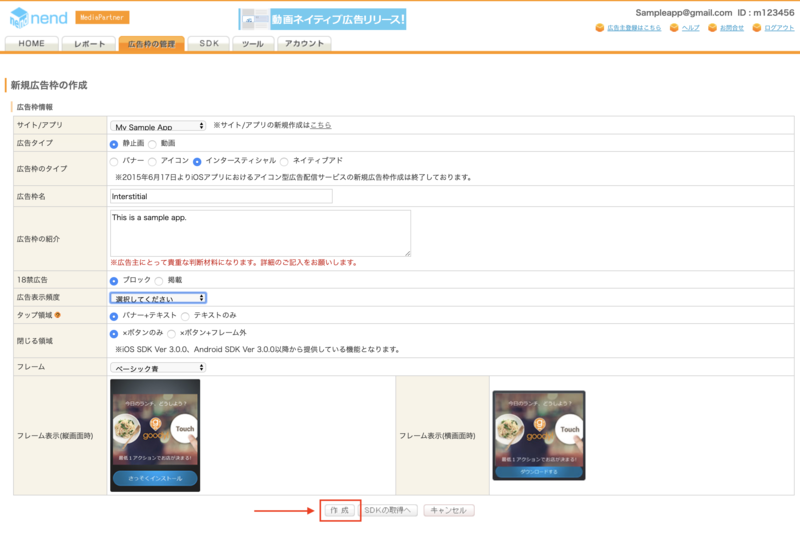 The dashboard interface for nend uses Japanese text for its labels, buttons, and descriptions, and the screenshots displayed below have not been translated. In this guide, labels and buttons are referred to by their English equivalents. 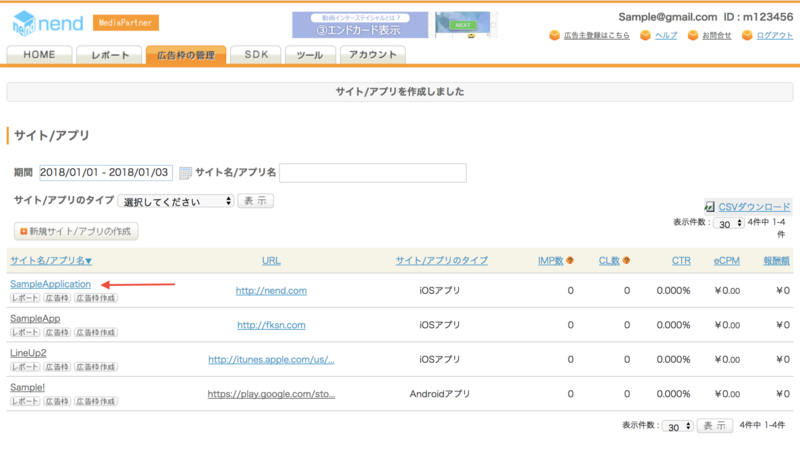 "URL スキーム," for example, is "URL Scheme," and so on. Sign up or sign in to your nend account. To add your application to the nend dashboard, first click on the Placement Management tab, and then select Site/App. Click the Add an app button to add your app to nend. Enter the name of your app and choose iOS application as the application type. Enter the URL and check if your app is in the Play store (see nend's unreleased apps FAQ if your app has not yet been released). Select a category for your app and click Create when done. Your application will be shown on the dashboard once it is created. Once the app is registered, you can move on to creating a placement. To create a placement for banner ads, go to the Placement Management tab and click on Placement. Then click the Create a new placement button. Select the tab below corresponding to your preferred ad format. First, select your app in the drop-down menu. Next, choose still image for the Ad type, and banner for the Inventory type. Once that's done, enter a Placement name, choose a format, and finally choose your desired banner size. When finished, click the Create button to create your placement. Note that the banner size chosen here should match the size requested by your app. Create Inventory for your interstitial placement by first selecting your app name in the drop-down menu. Next, for the Ad type select Still image, and for the Placement type select Interstitial. Once that's done, enter a Placement name and select an Advertisement display frequency from the drop-down list. Finally, click the Create button to create your placement. For interstitial video ads, select Video for the Ad type, then select Interstitial as the Inventory type. Once that's done, enter a Placement name and select a Category from the drop-down list. Finally, click the Create button to create your placement. Create Inventory for your rewarded placement by first selecting your app in the drop-down menu. Next, set the Ad type to Video and Inventory type to Rewards. When that's done, enter a Placement name and Description, then choose an appropriate Category in the drop-down list. Select Rewarded for the Content type using the drop-down list, enter your preferred Virtual currency name, and then click the Create button to create your placement. To set up your AdMob ad unit in the next section, you'll need the apiKey and spotID for each placement. To locate them, head to the Placement Management tab and select the SDK button under the name of your app. Take note of the apiKey and spotID. You'll also need your API Key for nend's reporting API, which they call the API Key for Scraping. You can find it in the Tools tab. 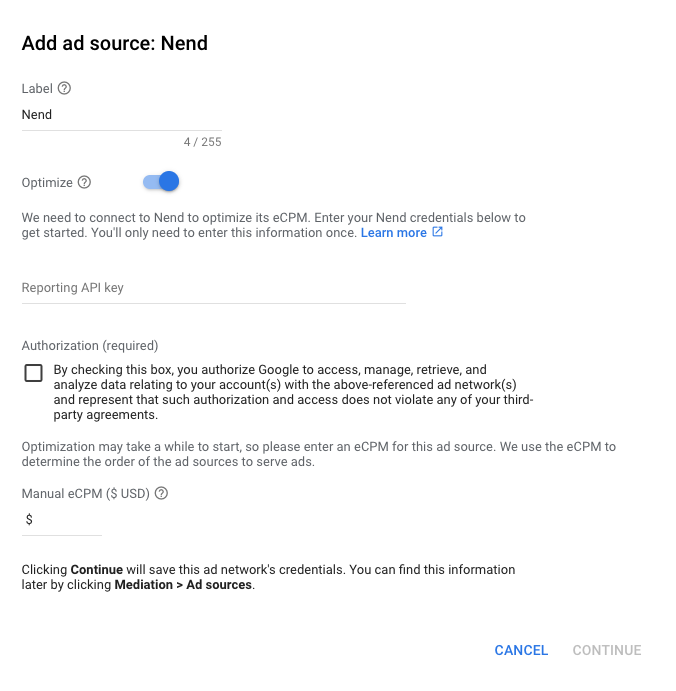 Next, you need to add nend to the mediation configuration for your ad unit. First, sign in to your AdMob account. Navigate to the Mediation tab. 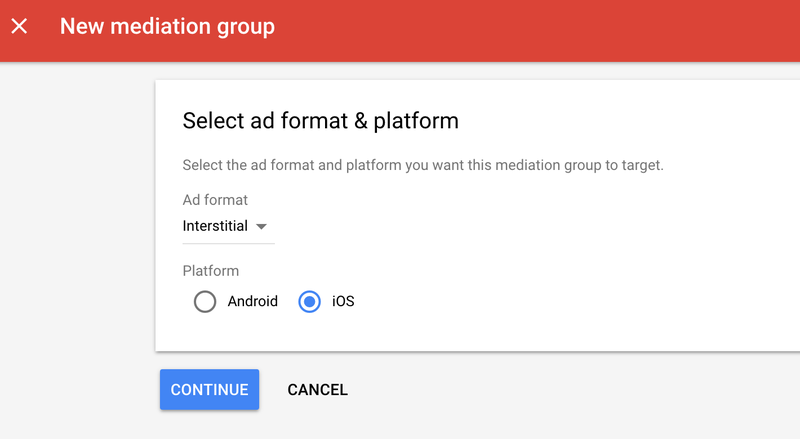 If you have an existing mediation group you'd like to modify, click the name of that mediation group to edit it, and skip ahead to Add nend as an ad source. 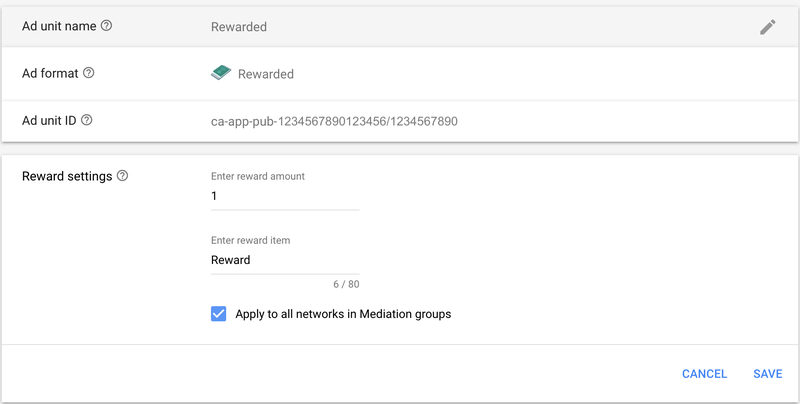 Associate this mediation group with one or more of your existing AdMob ad units. Then click Done. Select nend and enable the Optimize switch. Enter your API Key for Scraping obtained from nend earlier as the Reporting API Key to set up ANO for nend. Then enter an eCPM value for nend and click Continue. Enter the Spot ID and the API Key obtained in the previous section and click Done. If you don't apply this setting, the nend adapter passes back the reward specified in the nend dashboard. Download the latest version of the nend iOS SDK, and link nendSDK.framework in your project. Download NendAdapter and link NendAdapter.framework in your project. In addition, by adding the following frameworks, it becomes possible to use detailed information by ad delivery. No additional code is required for nend integration. Add the -ObjC flag to the Other Linker Flags under Application Target > Build Settings. 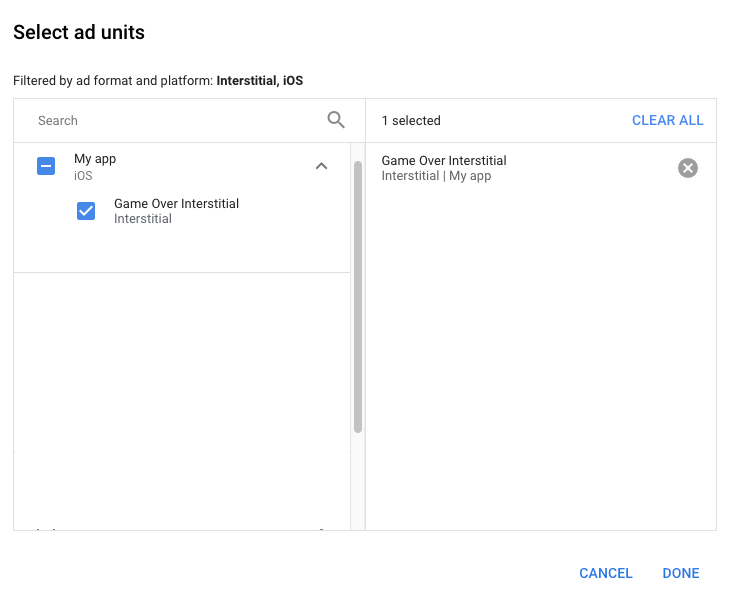 To get test ads for banners, interstitials, and rewarded, nend recommends using the API keys and Spot IDs provided in the nend test ad units page. 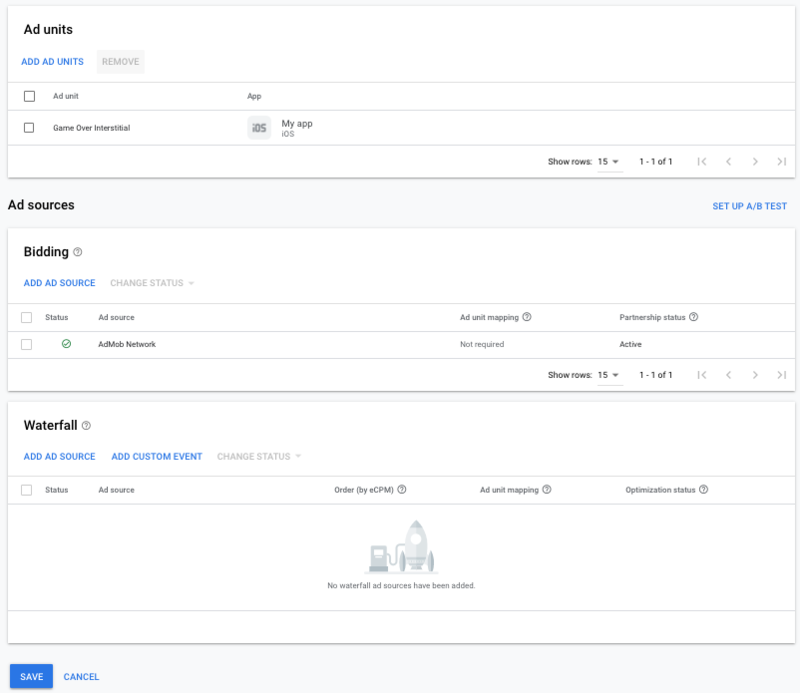 These can be entered as the API Keys and Spot IDs for your AdMob ad units while testing, and then replaced with an actual API Key and Spot ID when your app is ready for production. The nend adapter supports additional request parameters, which can be passed to the adapter using the GADMAdapterNendExtras class. userId - Sets the UserID of specific nend interstitial ad.